Glenn Kissack is a retiree representative on the PSC Executive Council. He posted this statement on the PSC Delegate Assembly listserv explaining why he couldn’t support the resolution to endorse Bill de Blasio for re-election. An endorsement of Bill de Blasio for re-election would be inconsistent with the progressive principles of the PSC. We should only endorse candidates who pledge to support our most important demands. For instance, we support the CUNY Student Bill of Rights, which among other things calls for adjuncts to “have secure positions and pay parity with their full-time colleagues.” Political candidates should be asked: “Which of these goals can you publicly support and advocate for?” Their answers should determine our endorsements. On January 26th, organizers with CUNY Struggle attended a meeting of the PSC’s Delegate Assembly (DA) to speak out about the union’s pending endorsement of Bill de Blasio for mayor. Despite his left-talking posturing against Donald Trump, de Blasio has been a sweetheart of cutthroat developers like Bruce Ratner, who are aggressively making working class life impossible in New York City, and law and order police advocates like Bill Bratton, a pioneer of the “Broken Windows” policing tactic who this “liberal” mayor brought back from the Giuliani Administration to lead the NYPD. Broken Windows has terrorized hundreds of thousands of working class New Yorkers, including many students in the CUNY system, and predominantly people of color in neighborhoods facing gentrification thanks to de Blasio’s developer pals. Trump’s Supreme Court will crush public sector unions unless we mobilize now to fight and win big in the next contract. In February 2016, Antonin Scalia’s death ended his 30 year tenure on the Supreme Court just as a ruling was expected on Friedrichs v. California Teachers Association. The plaintiffs in the case had argued that “agency shop” laws, which require public sector employees to pay dues as a condition of employment rather than on a voluntary basis, were unconstitutional. Had Scalia lived, the court would have decided in favor of Friedrichs, and “right-to-work” — the prohibition of agency shops — would have become the law of the land. But with Scalia gone, the court split 4-4 and denied a petition for rehearing. His passing was heralded as an intercession from above by folks in labor movement. While we all cheered the near-miss and vowed to prepare for the next round, some remarked somberly that unions had done precious little to prepare for a ruling that seemed like a sure thing until Scalia’s unexpected demise. Pinning the survival of labor unions on the timely death of their opponents is not a great long term strategy. After a brief flurry of perhaps misplaced glee, labor resumed its dormancy. The expectation was that Scalia would be replaced by a moderate picked by Obama or his likely successor, Hillary Clinton, and the court would lean liberal for the next few decades. 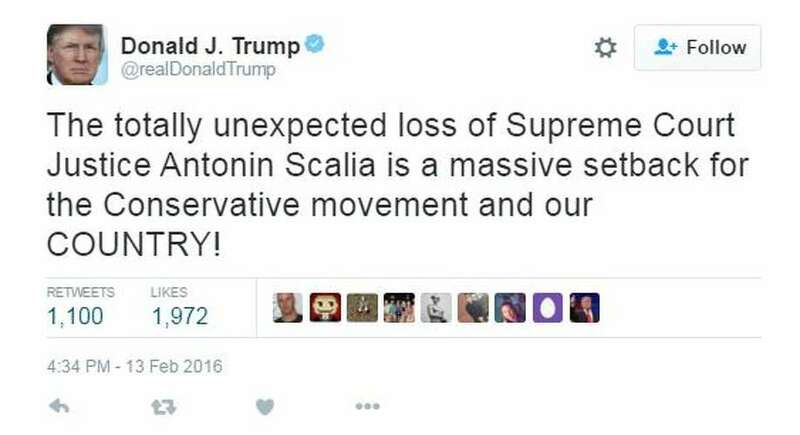 But these idle dreams came crashing down when Trump ascended to the presidency having campaigned on a promise to tap a justice “in the mold” of Scalia. We can now expect that another lawsuit seeking to destroy agency shops — Friedrichs 2.0 — is waiting in the wings, and that the new Supreme Court will likely enshrine a version of right-to-work within 18 months of the inauguration. [Updated: this is exactly what is happening.] Rather than passively bracing for the inevitability of right-to-work, as the PSC and most other unions did during the deliberation of the Friedrichs case, we need to get organizing. It is now or never for public sector unions. Earlier this week, amidst mounting pressure from localized rank-and-file initiatives at over a dozen CUNY campuses demanding the university become a “sanctuary campus”, Chancellor James B. Milliken released a statement outlining CUNY’s commitment to protecting its undocumented students — or, more accurately, CUNY’s lack of any such commitment. Like most activists, we at CUNY Struggle have been grappling to find our footing in the wake of Donald Trump’s electoral victory. In the coming weeks we will begin to offer some inklings of a direction forward for the CUNY system amidst the dire political situation to come. At present, we offer some sober and important analysis from comrades at NYU, who find themselves at a crossroads similar to ours within PSC-CUNY and the broader CUNY system. This text was originally posted as a petition, and can be viewed here. Two roads l ie before us in this political moment. The first is a deepening of the poverty and misery pervasive in this country for decades, reinforced by a virulent bigotry toward people of color, immigrants, Muslims, Jews, women, and queers. The second road is built on the principle that an injury to one is an injury to all, and it depends on the disruptive power we have as workers and the social ties forged to unleash that power. As members of the NYU Graduate Student Organizing Committee (GSOC) of the UAW Local 2110, we are committed to paving this second road together with our comrades in the labor movement and broader progressive forces. The lockout at LIU is over. The following message was posted by John Ehrenberg, chair of the Political Science department, to the mailing list of the New Political Science Section of the American Political Science Association. John has graciously given us permission to reprint his statement.